I’m’ up to January 19th. I put it aside to work on other things I will update later. I started out with a chain of 315 in hopes of balancing out the length of 366 rows. 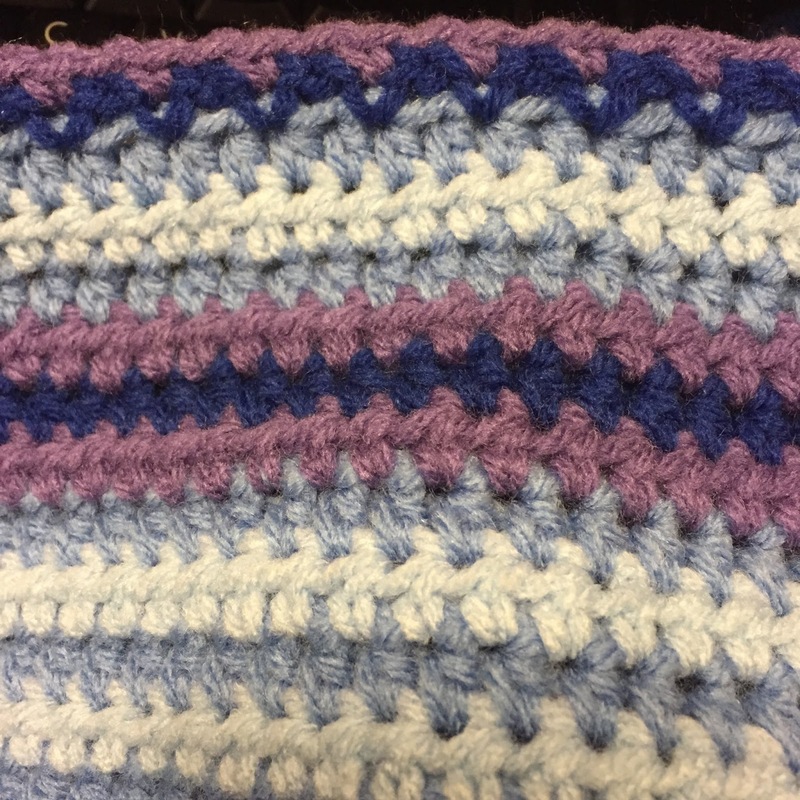 As it stands now, rows 1 through 16 are half double and I have switched to single crochet, chain one, skip next one repeat in hopes of it not being as long. I projected it would be about 10 feet long with the double crochet. I will switch back to half double for the December 16 through 31 rows so the ends match. Either way it will definitely be long enough for my king size bed. The picture doesn’t really do the colors justice. The light blue is washed out to white. So what you’re seeing (from bottom to top) are light blue, periwinkle, light blue, periwinkle, lavender, royal, lavender, periwinkle, light blue, periwinkle, royal and lavender. I’ll be dealing with those colors for the rest of January and most of February. But there will be a couple of rows of lemon thrown in in February. March should be more colorful as well. That’s it for now. More updates later.